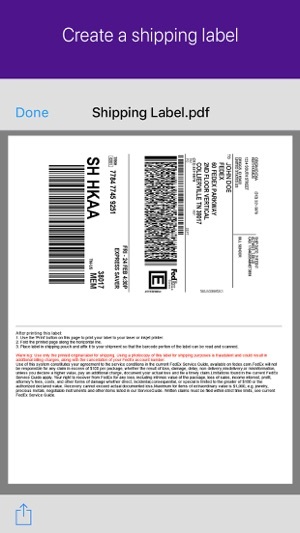 Create a shipping label, track shipment status with the FedEx Mobile app on your mobile device. 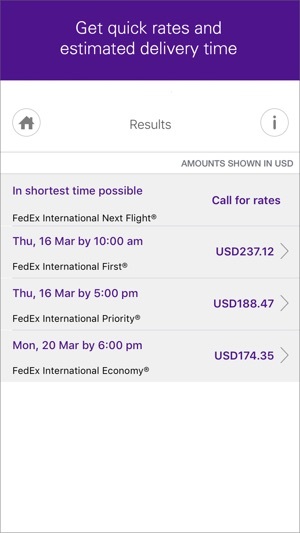 Use the FedEx app to get quick rates, find a location for convenient pickup and dropoff and scan barcodes. • Create a shipment label and request a pickup (account only). 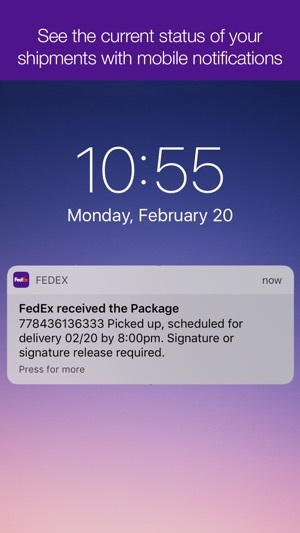 *To maximize your experience on the FedEx Mobile app, allow the following permissions: Location to find a convenient FedEx location, Camera to scan a shipping label and track a package, and push notifications to receive notifications on a package. 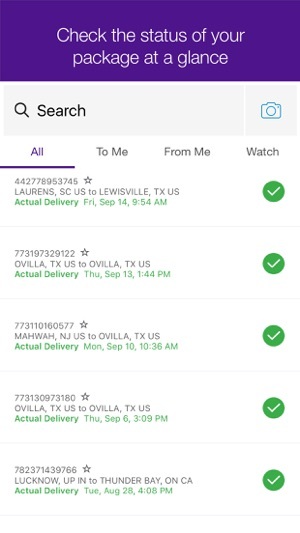 Thank you for choosing the FedEx® Mobile app. We update our app regularly to add new features and make other improvements to enhance the value and performance of the app. This app deserves 0 stars until they actually make it work! Loved this app so I could easily track my shipments! Most recent upgrade ruined that for me! No longer works!! Won’t accept tracking numbers so thinking something is broken! © 2019 FedEx Corporate Services, Inc.